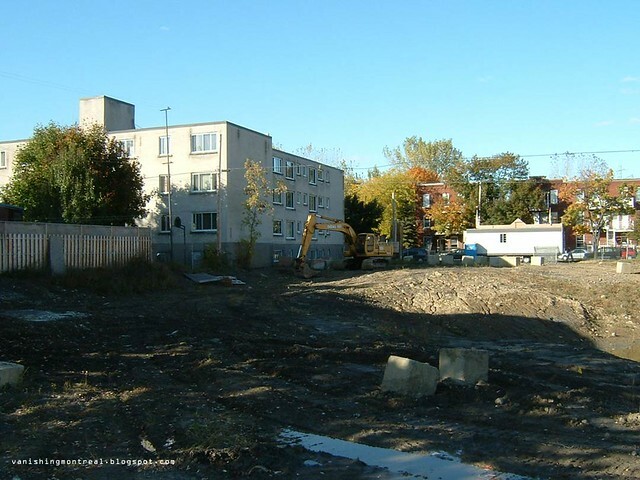 The photo above, taken in the fall of 2009, shows an empty cleared out land before the two big Samcon condo buildings were built on Gordon and Rielle streets in Verdun. The photo was taken from Rielle looking towards Gordon. There was a big Presto (Provigo) food retailer/reseller there. 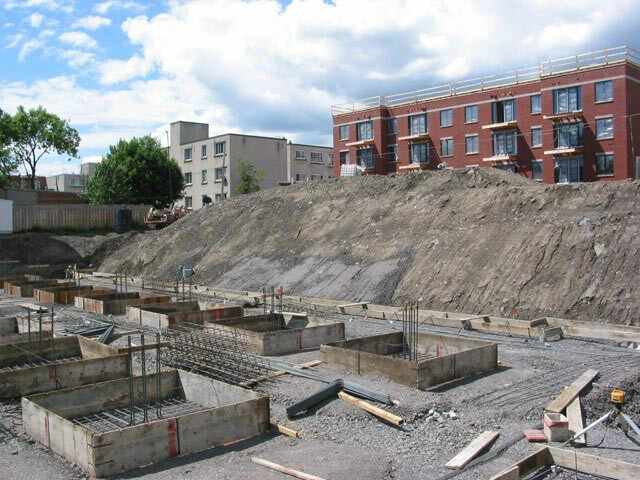 The land was severely contaminated (link) which would explain why the project took so long to finish. Google Streetview still shows the empty lot: link (which will disappear once google updates their files). 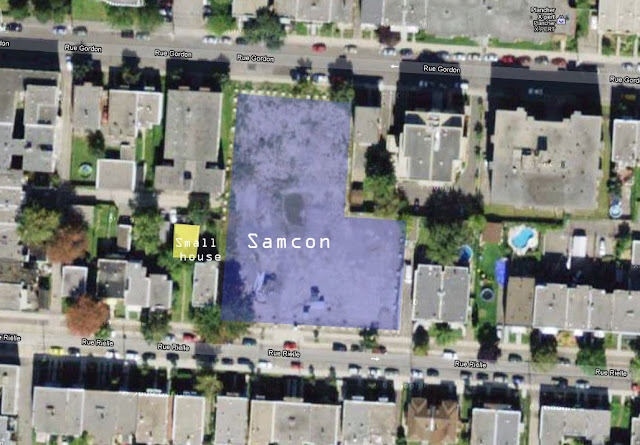 As seen from the Google Maps image below, the Samcon project was fairly big. 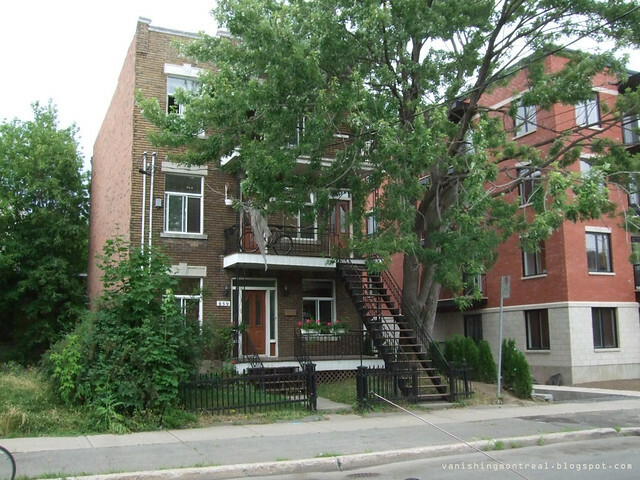 Just next to it, in yellow, is a small house that was recently sold (next topic below). 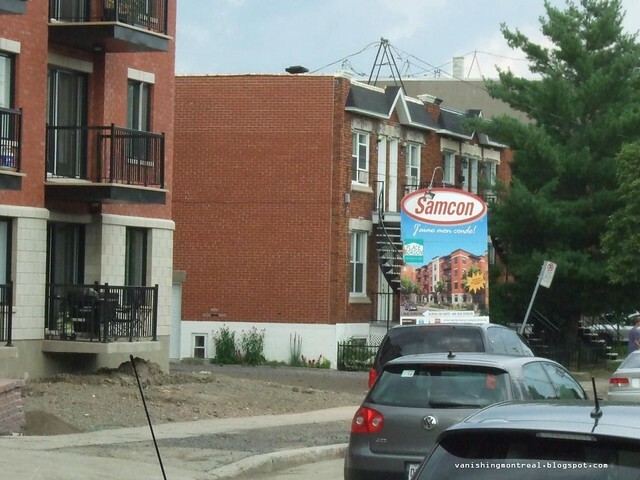 The image above shows the triplex in between the small house and the Samcon condos on Rielle. Your doing an incredible job here. I'm relieved this blog exists. 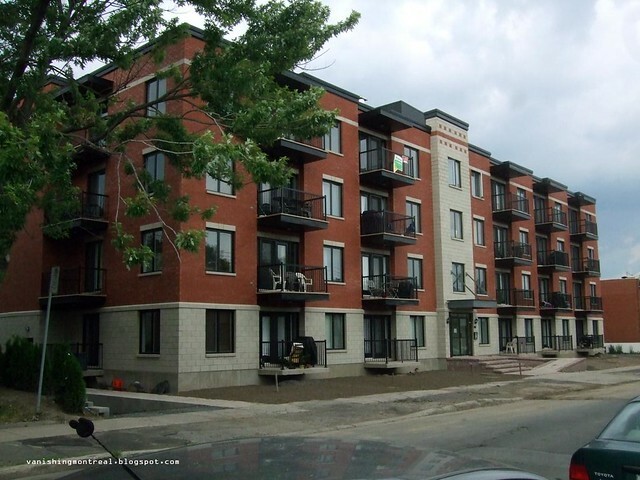 These condos are architectural disasters. 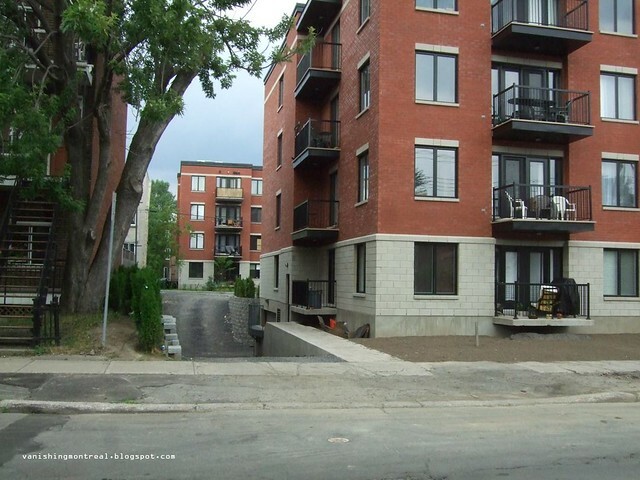 There is grand opportunity for architecture here in Montreal it's overrun by greed. This has to stop.